Alright well I was gone for a while with no internets and was gonna do the Riff of Shark Boy and Lava Girl with KidsTrax but things came up, my mic is kinda busted and I am super sick of seeing that movie so for now KidsTrax is on hiatus. 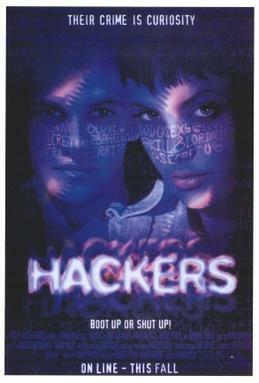 Our mission now is to get a working script of Hackers, I finished most of the script and hopefully with the combined effort of all the people we will have a working script in a month or so. you can either use the scripting template and email it to me or use the old method and post it right in this thread. I just need a few touch ups and will be recording soon and wanted jokes and material from you guys. yes kids I did this a while back and really like to pick at minor details. I'll format it correctly later. Mainly the second one because school starts in September but I didn't want to rush it. I could show off the script like the MOVIE RVR KEEPS MENTIONING thread. Oh by the way don't be surprised if you I submit multiple die hard riffs (as in files). I usually take my time but felt like submitting the first part right away cause I didn't think I would actually finish it.